Triple Bunk Beds are well known as space saving, super practical beds that are thrice as much fun as single beds for siblings or kids who love sleepovers. Floor space is a precious commodity in any family home, particularly when the children are sharing a room. So instead of building an extension or taking out a mortgage on a mansion, build upwards to make the most of the available space. 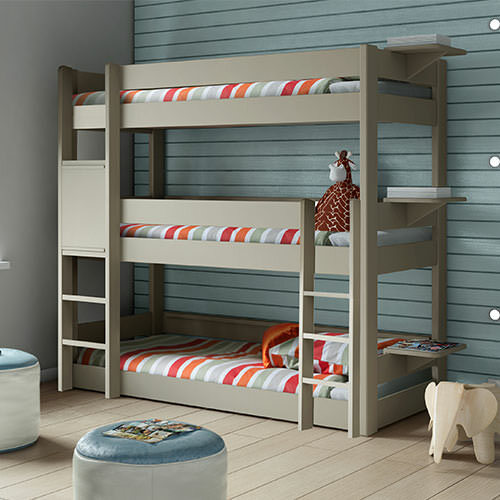 Three-tier bunks are a brilliant solution for bedrooms that are somewhat cosy, leaving more room for desks, drawers and cupboards, as well as that all-important play area. We love the 3 Tier Bunk Bed in Dominique Design by Mathy by Bols, with oh-so-sweet shelves on the sides for those budding bookworms, and a kaleidoscope of colours that will help you reach a compromise that each of the kids will love. However, you may need to pull names out of a hat to see who will claim the coveted top bunk! You don’t need three little monsters to invest in a triple bunk bed. 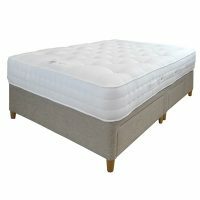 If you’ve got two social butterflies in your family unit, set the scene for unforgettable sleepovers with a bed that has room for an extra little one. A bunk bed with a trundle pull-out draw will be perfect for ghost stories, midnight snacks and lazy Sunday mornings, to make those best buds feel at home when visiting for the weekend. 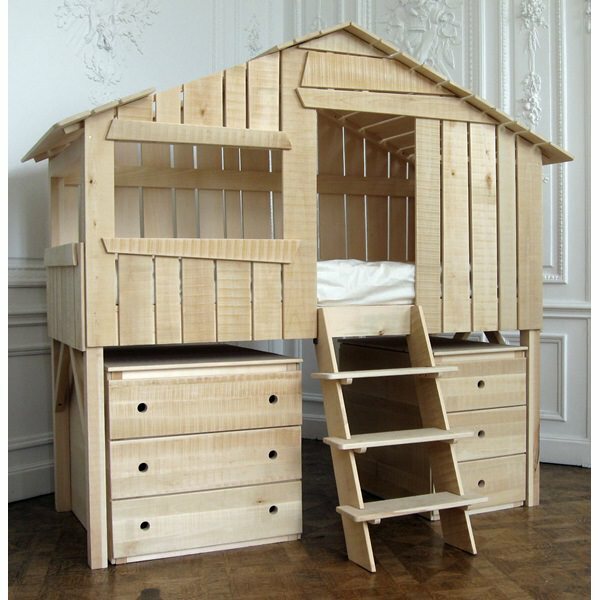 For a sleeper that will put the icing on the cake of your little princesses’ bedroom, the Parisot Kurt Bibop in Arcadia is hard to beat. With reversible shelves and safe steps up to the top, it’s ideal for growing girls whose toes are peeping out of their old toddler beds. This convertible design has an optional trundle drawer for when friends come to stay, which will tuck those toys and books out of the way when not in use! Shopping for one princess with a lot of loyal subjects? 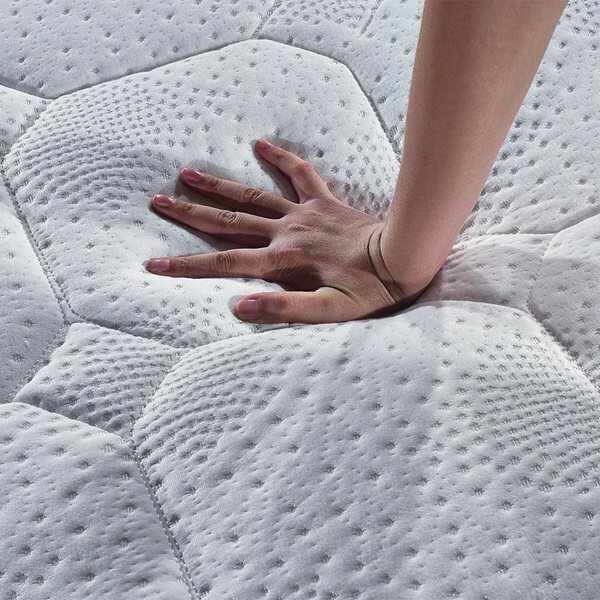 If you’re searching for a single bed that transforms into three, look no further. 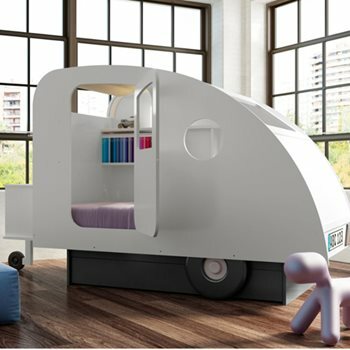 The Cometa Triple Kids Bed magically opens out into a three-tiered bunk and folds away neatly on a Sunday night when it’s time to tidy up after the weekend. No more airbeds and sleeping bags to break a sweat over – these inspiring beds make hosting sleepovers simple. 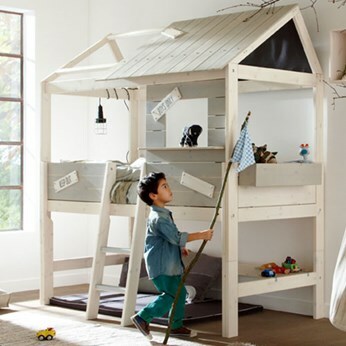 Picking a bed can be tricky if you’re shopping for children who are years apart. One of your kids is addicted to games, fashion or music, whilst the other is still content with a box full of Lego or Barbie. But with a little help from the bedtime gurus at Cuckooland, it’s easy to appease both siblings. Find a bunk bed that toes the line between teen-approved style and funky designs for children, and you’ll finally achieve harmony in your boisterous kids’ bedroom. Strike the balance with a sleeper both siblings will love, by choosing the Modern Family Bunk Bed by Lifetime from our collection. 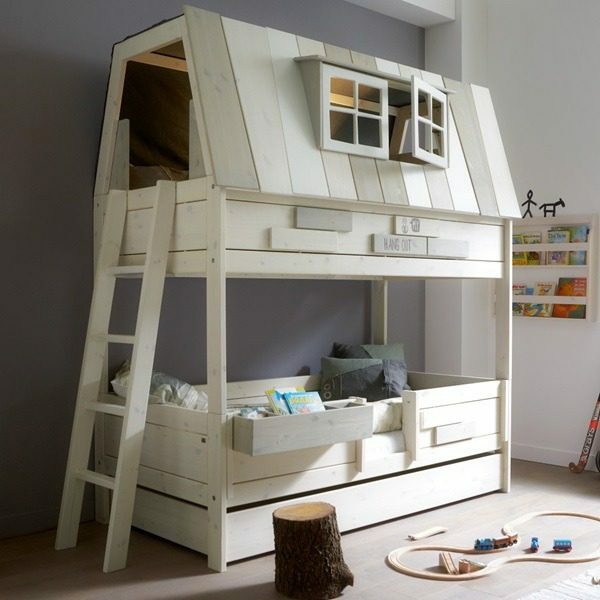 This European sleeper is brimming with brownie points for all ages, with a cool Scandi design, double bottom bunk for older children, and a top bunk perched high above for the little one. With an optional pull-out drawer for sleepovers, it’s bound to get the big thumbs up from the kids. To you, the kids’ bedroom may be four walls and a whole lot of mess, but to your children, it’s a universe of adventure just waiting to be explored. Furniture can be a fabulous prop in your little ones’ dreams and games, so don’t settle for boring beds when kitting out the kids’ room. Set the scene for endless hours of entertainment with a bed that gives you more magic for your money. Transform their room into a maze where their imaginations can roam free, with a bunk bed that doubles up as the den to end all dens. We’re head over heels in love with the Adventure Kids Bunk Bed Hangout from Lifetime, a base camp that will be worthy of boys and girls with big ambitions. 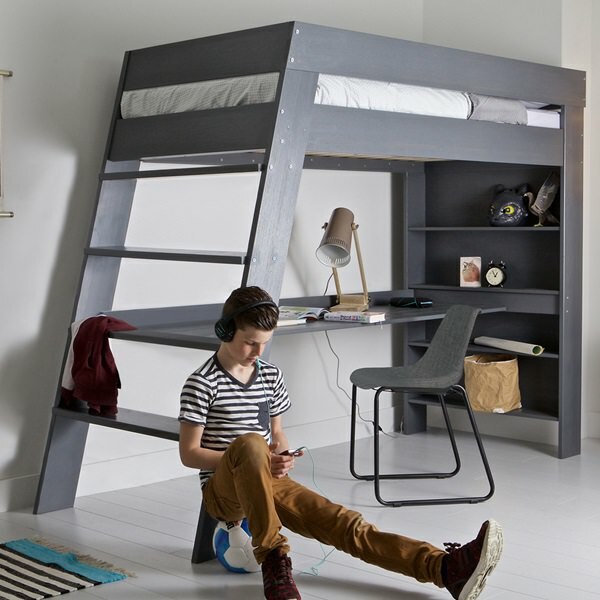 Featuring a higgledy-piggledy roof, windows and a step ladder, this bunk bed has a pull-out drawer beneath that can be used for storage between sleepovers, making it every bit as practical as it is cool. 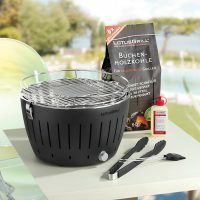 Many come with additional storage. 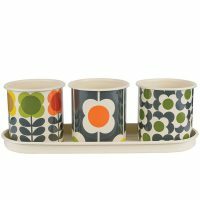 Feature a wide range of unique and fun designs. A good investment for growing families. 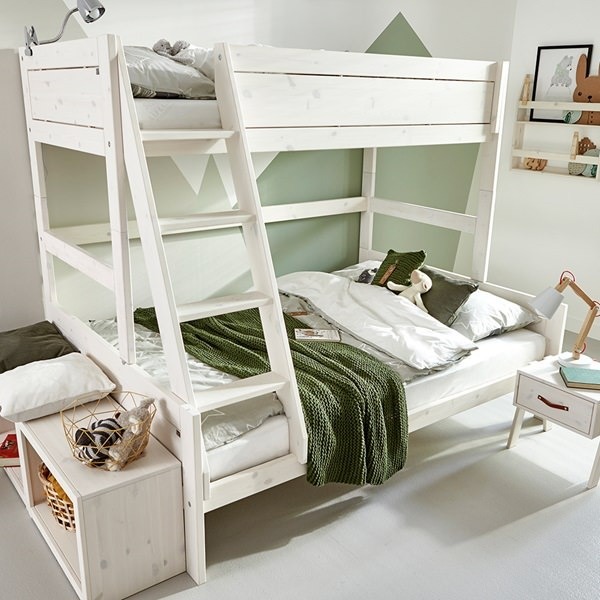 So there you have it, the ultimate guide to triple bunk beds for siblings and children who love hanging out with their friends. We can’t promise to put an end to the fight for the top bunk, or keep those giggles and screams of delight to a hush when it’s time for lights out, but we can guarantee that these glorious beds will be the crowning glory of your little monsters’ room. 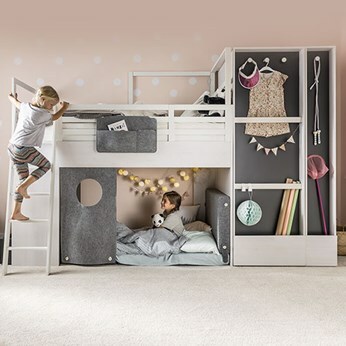 Cuckooland is constantly on the lookout for ways to make your kids’ bedroom the best on the block, why not browse our ever expanding collection of triple bunks and three-tier beds to find a sleeper that’s perfect for your growing family. 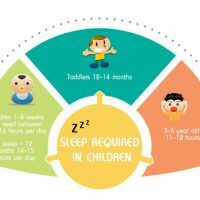 View our kids bed guide for more support in finding your ideal kids beds. Our professional assembly team is always on standby to answer any questions you may have – simply call us on +44 (0) 1305 231231 Mon-Fri 9-6pm or email customerservice@cuckooland.com and our super friendly team will reply immediately.